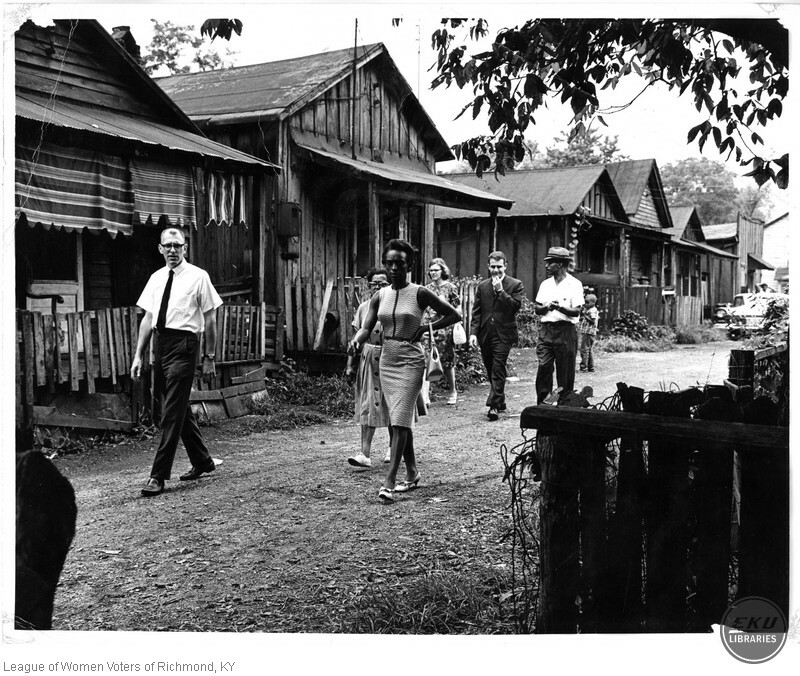 Richmond, KY City Officials Walking down Reeves Alley. Pictured are Mayor Earl Baker, Margaret Spears, J.T. Ballew plus unidentified individuals. Brunner, Warren, “Richmond, KY City Officials Walking down Reeves Alley. ,” Digital Collections, accessed April 24, 2019, https://digitalcollections.eku.edu/items/show/23539.